A New Game! What’s in moms purse? My 9yo asked me for a pen today. Seems a simple request, right? Wrong. You see, I got is new purse from my mom. My husband strongly disagrees with me calling it a purse. He considers it more like a carry-on suitcase. 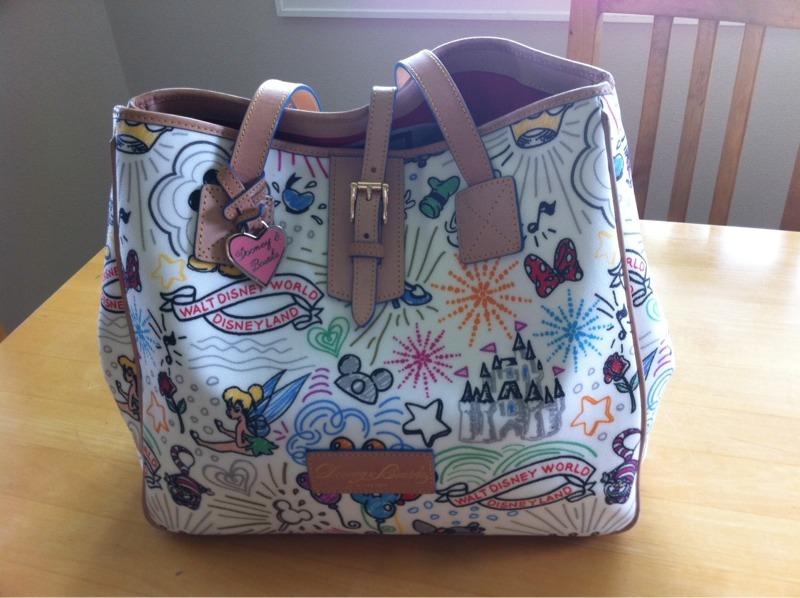 But I can’t NOT use it, it meets all my favorite requirements: its designer (Dooney & Bourke), it’s from Disney & it’s CUTE! I LOVE this bag, LOVE IT!! It has become quite the problem. Today I was asked for a simple writing utensil. A razor handle…so not even useful in those important times…. 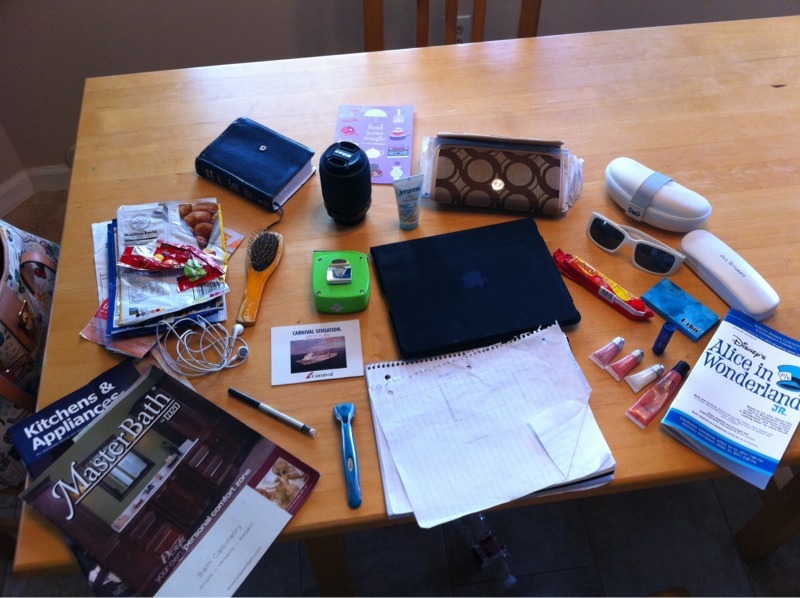 And of course the normal stuff, my wallet, 2 pairs of sunglasses, eyeglasses, 4 tubes of lip gloss, chapstick, a hairbrush, headphones….. See!! See my wallet? That is what fits into a normal purse. Maybe the wallet and sunglasses. And lip gloss. But, I have to admit, after a HUGE search…. I did find something that made my 9yo happy. 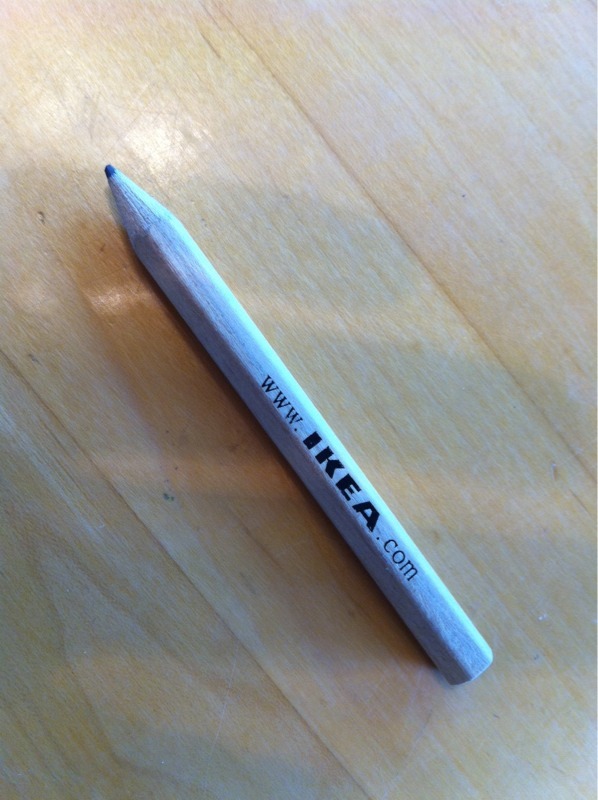 So what if it’s from IKEA. Wait, are we supposed to return those? *I’m considering starting a new game. For myself as well as GUESTS! What’s in Mom’s Purse? could be a spectacular new catagory!! Would you want to participate?? I once had a McDonald’s cheeseburger in my purse for multiple days. True story.